As the world’s leading trade fair for home and contract textiles, Heimtexil will be presenting a fundamentally redesigned concept in Frankfurt am Main January 8-11 2019. And the new approach has been well received: Heimtextil is entering the intensive phase of preparation with a large number of registrations and a focus on contract furnishing. “Based on discussions with exhibitors and also visitor surveys, we have developed a new Heimtextil concept. From the perspective of buyers in particular, we are repositioning Heimtextil and the way we group themes and product segments to better suit target groups. In this way, synergies for buyers can be optimally exploited,” said Olaf Schmidt, vice president Textiles & Textile Technologies at Messe Frankfurt. The response to the new concept on the part of exhibitors is very positive. For the first time in 15 years, Heimtextil is once again heading towards exhibitor numbers of over 3,000. In addition to the new overall concept for Heimtextil, the team in charge of realizing the trade fair have also redesigned the trend concept. “Trend Space” will replace the previous “Theme Park” in the new location hall 3.0 which will put it in close proximity to international textile designers, CAD/CAM suppliers and digital printer manufacturers. 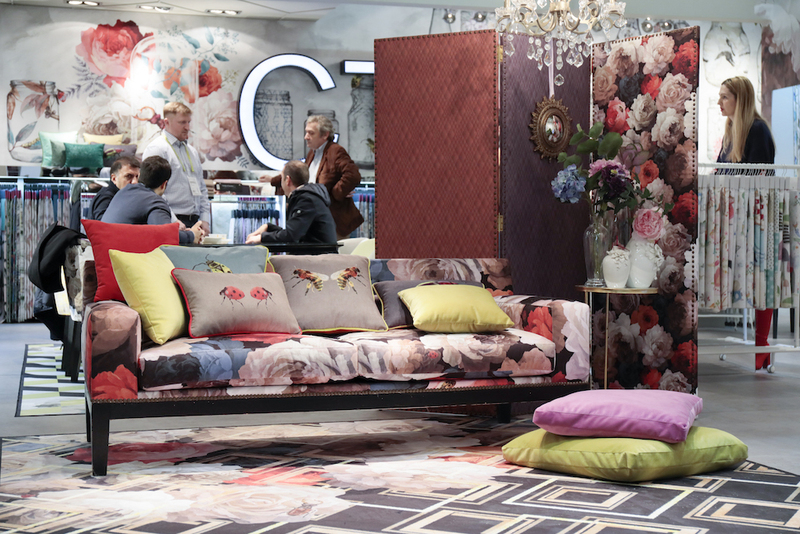 Heimtextil is thus bringing the progressive themes of trends, textile design and digital printing together on one hall level, creating an area full of inspiration and future technologies. Following the very positive feedback for the first “Interior.Architecture. Hospitality Expo,” Heimtextil will once again be presenting solutions for textile contract furnishing in hall 4.2 that are individual, sustainable and functional, from textiles with acoustic function or special abrasion properties to modular carpets, sun protection and innovative wall coverings. New and particularly interesting for the hotel industry is the expansion of the bed-related product portfolio with bed systems and mattresses. The offer is flanked by the presentation “Carpet by Heimtex,” a joint promotion by the Association of the German Home Textile Industry. Here, visitors can experience high-quality textile floor coverings by leading suppliers especially for the contract sector. With product presentations, lectures and guided tours, the offer of hall 4.2 provides valuable impetus and is supported and made possible by experienced industry partners. This makes hall 4.2 the first point of contact for the target group of interior designers and hospitality experts. A total of around 500 exhibitors at Heimtextil will be presenting products specifically for the contract business. The composition of the “Window & Interior Decoration” product segment is completely new. All products relevant to interior designers, interior decorators and international trade will be brought together in hall 8.0. This includes exhibitors offering curtains, decorative fabrics and carpets as well as suppliers of sun protection and decorative systems. And the group of textiles editeurs also enriches the new segment. In addition, the DecoTeam will also move into a new area in hall 8.0. Those interested in “Window & Interior Decoration” thus benefit from significantly shorter distances and will be able to spend more time at exhibitors’ stands in the future. The functional spectrum of sleep will find a new home in hall 11.0 from 2019. To this end, Heimtextil takes up the lifestyle theme of “Healthy Sleep” with a comprehensive program: with the title “Sleep! The Future Forum,” a new information area covering findings from science and research. Exhibitors will also be presenting new products from the “Smart Bedding” product segment: mattresses, bedding, sleep systems and associated technology can be viewed here, as well as duvets and pillows. Well-known companies from all over the world are on board, particularly from Germany, Italy, Spain, Scandinavia, Japan and Australia. With “House of Textile,” the Association of the German Home Textile Industry (Heimtex), working in cooperation with Heimtextil and various universities and colleges, has launched a competition for students of architecture, interior design and textile design. The aim is to get an idea of what role home textiles will play in the areas of living and working in 2025. The 10 best ideas for a virtual room will be implemented and put on display at Heimtextil 2019 in hall 9.0. The five best textile designs by students in textile design courses will also be exhibited here. Following its successful première at the last trade fair, Heimtextil is further expanding the area of textiles and accessories for animals. The second edition of “All about pets” in Galleria 0 provides an insight into the market for animal textiles. Dealers can find beds for dogs and cats, pillows, cozy blankets and much more here. In the new hall 12, which adds an architectural highlight to the Frankfurt exhibition center, Heimtextil will present international suppliers of “Bed & Bath Fashion.” On level 12.0, renowned labels will present a modern lifestyle for the home and thus target high-volume buyers, boutique operators and upscale retailers. Level 12.1 will become the platform for the private label business and thus the point of contact for large-volume buyers and industry representatives. For more information on the show or to register, visit heimtextil.messefrankfurt.com.